“A man that is fallen into a pit cannot be supposed to help himself out of it, but by one of two ways; either by doing all himself alone, or taking hold of, and improving, the help offered him by others. 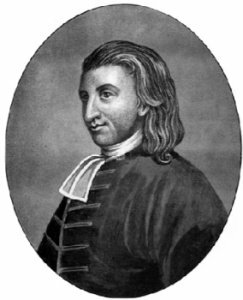 Likewise an unconverted man cannot be supposed to help himself out of his natural state, but either in the way of the law, or covenant of works, by doing all himself without Christ; or else in the way of the Gospel, or covenant of grace, by exerting his own strength to lay hold upon, and to make use of the help offered him by a Saviour. But, alas! the unconverted man is dead in the pit, and cannot help himself either of these ways; not the first way, for the first text tells us, that when our Lord came to help us, ‘we were without strength,’ unable to recover ourselves. We were ungodly, therefore under a burden of guilt and wrath, yet ‘without strength,’ unable to stand under it; and unable to throw it off, or get from under it: so that all mankind would have undoubtedly perished, had not ‘Christ died for the ungodly,’ and brought help to those who could never have recovered themselves. Thank you Heather! Blessings to you my dear friend! Ephesians 2:1 reminds us that we were dead… and ‘dead’ means pretty ineffective and incapable. The dead don’t move or improve upon anything. Yes, Lazarus came forth out of his grave, but only because of Christ’s powerful and effectual calling. Lazarus could not even wait or hope, he was dead. Thank God for His great saving grace!!! Love and blessings, sister!